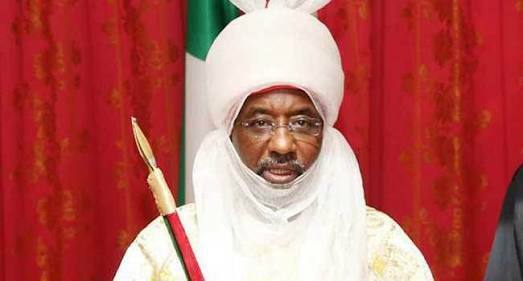 The 68 year old student fraternity, Sigma Club has voiced out their intention to honour Alhaji Muhammadu Sanusi, immediate past Governor of Central Bank of Nigeria and the current Emir of Kano. This decision was publicised by the Club in a press conference held on September 14th, 2018. According to the Sigma Chief, Mr. Valentine Igbonekwu, the royal father will be named an honorary Sigmite at a guest luncheon that will hold on October 6th, 2018 at St. John Paul II Centre, University of Ibadan. 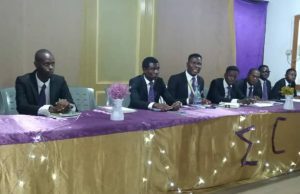 The Sigma Club called for a press conference on Friday, September 14th, 2018 at the Kuti Hall Senior Common Hall. At the conference, the Club issued a press release which was read out by the Sigma Chief. The press release was geared towards intimating the public on the guest luncheon in honour of Alhaji Muhammadu Sanusi, which would also double as an induction ceremony for its thirteen newly admitted members. The Sigma Chief elaborated on the status of Honorary Sigmites. According to him, they are just one of the three categories of Sigmites – the others being the Old Sigmites (alumni of the Club) and the loyal Sigmites (students of the University who are Sigmites). It was however emphasized that they all are loyal to the Sigma Chief, and anyone who breaches the ideals and conventional code of conduct of the Club would be screened out or delisted from the Club’s Roll of Honour. When asked what the Club would do if it is later observed that any of the honorary Sigmites acts against the goals, aspirations and ideals of the Club, the Sigma Chief assured the pressmen that this is not possible He based his answer on the processes embarked upon by the Club before choosing and honouring anyone as a Sigmite. According to the Chief, it is eminent personalities who have overtime ” proved themselves to be men of vision, honour and intelligence and a patriot that we choose to honour.” In addition, he stated that the honorary Sigmites get to know the ideals, perspectives and ideology for the Club through briefing, whereby loyal Sigmites meet them one on one and have a heart-to-heart talk on the Club and its ideals. The guest luncheon is projected to play host to an array of high-profiling personalities such as governors, senators, royal fathers, distinguished CEOs, academia, among others. For this reason, including logistics and security reasons, the Sigma Chief stated that attendance at the luncheon will be strictly by invitation. ” As regards the invitation, we understand the fact that we want everyone to know about the event, but it is an event which we are planning for 400 persons because of the quality and the personality of the persons involved; we do not make it so open with regard to the attendance for so many reasons, security reasons and all. Now, in a situation where the Alaafin of Oyo, Ooni of Ife, Oba of Lagos, Soun of Ogbomoso, Obi of Onitsha, Sultan of Sokoto, all of them are royal fathers not to talk of politicians at the event. Now, and then, considering the event. I already said an initio that the venue is John Paul Centre. The capacity for a luncheon or a dinner, or any other thing is just 400. If we allow everybody who wants to attend to attend; definitely, the venue is going to be a factor that is going to work against us “. Asides the induction ceremony which is set to hold along with the guest luncheon, there would equally be a “launching” of a Sigma Club House, to be situated within the univeristy community. Further questioning from pressmen on this matter revealed that the Club House is not yet under construction. However, assurance was given that Old Sigmites and other eminent personalities would be ready to sponsor this project which would be completed in two years. There were other benefits that the luncheon was thought to serve. 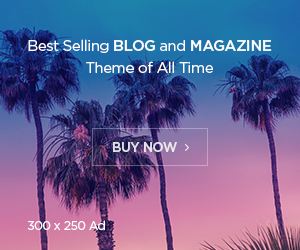 ” There would be sale of tables, among others, for charity.”, the Sigma chief said. ” However, the Club House would most likely not be part of the charity. “I don’t think the Club House would be given out freely to anyone to reside in, because it could serve as a means of generating money for the club and we will need money to maintain it as well” he deputy Sigma chief added. The club entertained questions about their ideology and conventions. In the words of Mr. Valentine Igbonekwu, the club ” stands for all that is pure. We believe that you must keep your records straight. “. The deputy Sigma Chief, Mr. Yusuf equally stated that the club does not support student activism. ” In Sigma club, we are gentlemen. We are leaders but (not) activism. We settle matters on round-table. We, as Sigmites, we don’t protest”. Founded in 1950, The Sigma Club is the oldest surviving students’ organization in Sub-sahara Africa. On Friday 14th September, 2018, the club called for a press conference to intimate the public on a guest luncheon it is set to host on October 6th, 2018 at the John Paul II Centre, University of Ibadan, where His Royal Highness, Alhaji Muhammadu Sanusi II, the Emir of Kano would be honoured as a royal Sigmite.